Welcome to the team Jess! 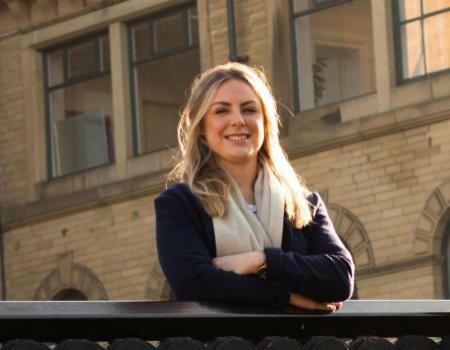 We’re delighted to welcome a new member of the Titus Learning team – Jessica Booth, who joins us as Executive Assistant. Here, she gives us an insight into her work in the educational sector so far, and how she sees the sector developing in future. How long had you been working in the education sector before joining Titus? I had been working in the education sector for 5 years, starting out as a teaching assistant in primary schools, then gaining a teaching qualification and specialising in Early Years education in pre-schools and more recently in a nursery. Which areas of educational technology interest you the most? It is really exciting that technology is shaping the future of education. Having seen this change and develop more over the last five years, there is a big shift to moving things to online platforms. When paired with interpersonal relationships, good educators, and bespoke programs, technology in education can be an incredible asset. At Titus we have been nominated twice for the 2019 BETT awards and it is great to see technology brands I have used in my past roles also up for nomination in the other categories. What was it that attracted you to the role at Titus? The role is very diverse and wholly suits my skills and abilities. The opportunity to work for a growing successful company in an exciting market in the education sector (where I have previous experience) was a bonus. I have joined the company at a peak time – Seb and Mike have a realistic strong vision to take the company further, diversifying into more countries and becoming the Moodle Partner of choice, and I’m looking forward to helping them to achieve this goal. I am a big fan of the Titus values and wholly believe in these. If we focus on the key areas of growth, responsibility, flexibility, quality and trust I strongly think that together as a team we can achieve the Titus vision and more! I am excited to be part of the journey going forward. What are you looking forward to about the new role? Being able to assist Seb, Mike and the team and get stuck into my wide ranging variety of tasks, leading the organisation of the office and our directors’ busy schedules. Really looking forward to overseeing the general maintenance of the office such as updating the decor and creating a new inviting office space in the welcome area, since I have experience in interior design. What do you think has been the biggest shift in educational technology during your time in the sector? It is also incredible that Moodle can offer so many uses that we will only see grow in importance and popularity over time. It’s amazing to see that now some schools use online timetables linked with their smartphones instead of insisting students glue a screwed up paper copy into a planner like we did back in our high school days! How do you see educational technology developing over the next few years? A continuous shift to Moodle and other platforms to minimize the amount of paperwork and to save time for teachers and other professionals. What are your interests outside of the office? My interests include walking and exploring new places, Pilates, working my way around spas in the UK with my fiancé, baking and attempting to create Jamie Oliver recipes!